Wolverhampton's Conor Coady, right, and Willy Boly, left, celebrate at the end of the English Premier League football match between against Manchester United at the Molineux Stadium in Wolverhampton, England, Tuesday, April 2, 2019. Manchester United's ambitions of securing a spot in the Champions League next season were damaged by a 2-1 loss at Wolverhampton Wanderers in the Premier League on Tuesday. 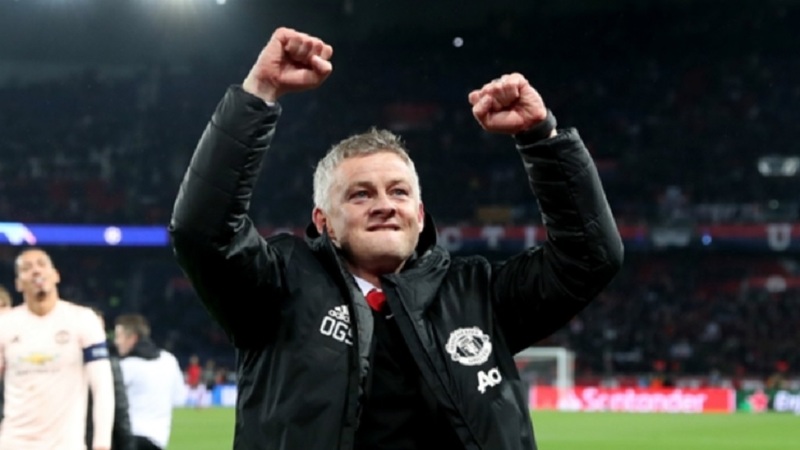 A win at Molineux would have lifted United into third place but Ole Gunnar Solskjaer's team stayed in fifth, behind fourth-place Tottenham on goal difference and two points adrift of third-place Arsenal having played a game more than both. Those three teams, plus sixth-place Chelsea, are chasing the two Champions League qualifications spots behind Liverpool and Manchester City. 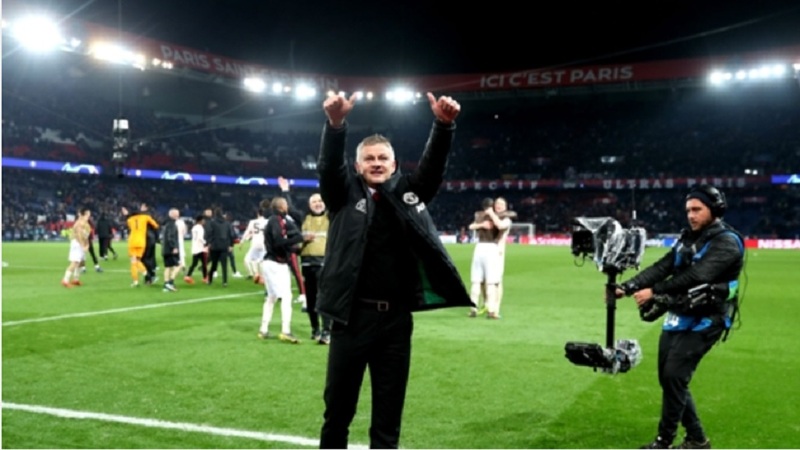 It is now three losses in four games for United, which are going through their worst spell of results of the season — less than a week after hiring Solskjaer as their permanent manager following a better-than-expected stint as interim coach. Two of those defeats have come at Molineux, with Wolves also beating United 2-1 in the FA Cup before the international break. They now head to London for Sunday's FA Cup semifinal match against Watford at Wembley Stadium in high spirits. United could easily have been three goals ahead before Jota's equalizer, with Romelu Lukaku — in for the injured Marcus Rashford — and Jesse Lingard wasting good opportunities in between McTominay's goal. It was a superb way for the Scotland international to open his United account, as he unleashed a 25-metre effort that beat Wolves goalkeeper Rui Patricio down to his right. 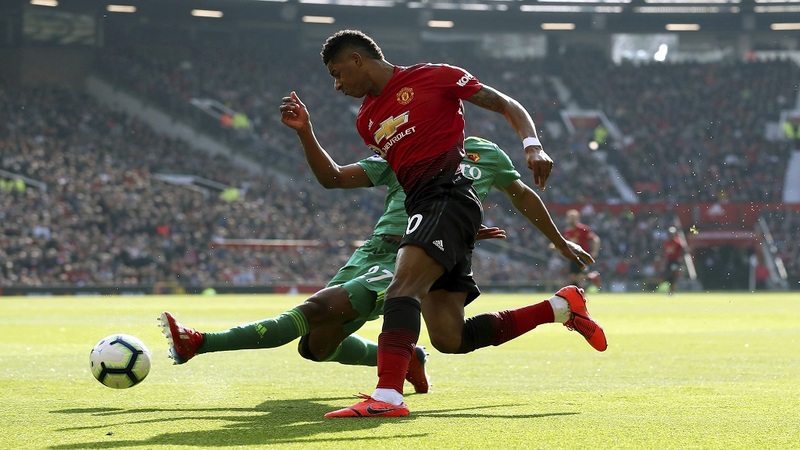 Wolves got back into the game following a mistake by the previously impressive Fred, who met a pass from goalkeeper David De Gea with a heavy touch. Wolves midfielder Joao Moutinho dispossessed Fred, and Jimenez delicately put Jota in behind United's defense for the Portugal forward to score. Leander Dendoncker, Matt Doherty and Ruben Neves had attempts for Wolves as United wobbled. Luke Shaw picked up his 10th booking of the season meaning he will miss United's next two league matches. Young was booked for fouling Jota in the 52nd and was soon walking off the field after a studs-up challenge on the same player. Referee Mike Dean handed out a second yellow card, as well his 100th red card in the Premier League. Solskjaer's side was on the back foot but holding Wolves to half-chances until conceding the winning goal. A cross from the left was not dealt with as Phil Jones challenged Jimenez, who got the slightest touch to the ball. Attempting to clear, Smalling inadvertently prodded the ball into his own goal under pressure from Dendoncker. De Gea did well to stop Smalling scoring a second own-goal before Ivan Cavaleiro rattled the crossbar in stoppage time for Wolves.